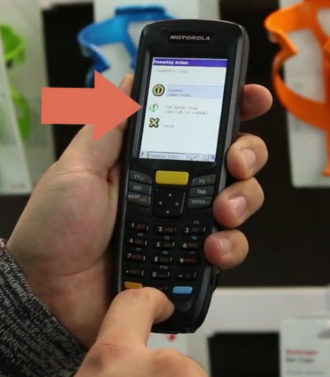 Sherpa Tip:The Zebra®/Motorola MC2180 is compatible with Ascend. Other models may work, but are not supported by the Ascend support team. When something goes wrong with your inventory scanner, our go-to troubleshooting technique is the warm boot. To perform a warm boot, just hold the power button down for 2 to 10 seconds. Once the Motorola logo appears, release the power button. When the AscendScan window appears, the reboot is complete. If the warm reboot did not working, do a cold reboot. For a cold boot, push the power button to open the Powerkey Action menu. Select the Safe Battery Swap option. Wait for the light to turn red... and then turn off... before simultaneously pressing the 1, 9, and power buttons. You'll be here for about a minute and go through several reboot screens. Then you'll be taken to the calibration window. Click the Xs to calibrate the screen and select Enter when prompted. Once the scanner boots up you can use it like normal. If you get this warning, there's actually no problem! The backup battery charges while you use the scanner, so you can ingore this message. Select ENTER to close it and use the scanner like normal. 1. Is the scanner sitting in the cradle correctly? Pick it up and reset is in the cradle. 2. Is the battery correctly inserted in the scanner? Take the battery out and put it back in the scanner? 3. Check the cords. Are they correctly connected to the cradle, the computer, and the power outlet? a. Hook the cradle to a different USB port on the computer. If the scanner scree is too dark or too bright, you can adjust the brightness. 1. Exit AscendScan on the scanner. 2. Press the orange button, then F2 to open the contrast control. 3. Use the arrow keys to make the screen brighter or darker. 4. Select ENTER when you're done. If all scans come up as "Not Found"
If one or two scans are giving you bad beeps, and the products come up as "Not Found," it's likely an inventory issue. But if all scans are giving you bad beeps, something is probably going on with your scanner. 1. Hit the Power button on the scanner. 2. Select Safe Battery Swap from the menu. 3. Remove the battery to get to the memory card. 4. Push the cover down to release the SD card, and pull the metal holder towards you to remove the SD card. 5. Remove the SD card. 6. Verify that it's a 2GB card (our suggested size). 7. Insert the SD card. a. Make sure the contacts are facing down. b. Push the cover back up to lock the SD card in place. If that doesn't work, you can transfer the product file from Ascend to the scanner one more time. You can also select F + 1 on he scan screen to re-associate the product file. It's time to adjust the scanner's storage space. 1. Select ENTER to close the error on the scanner. 2. Then cradle the scanner. 3. Go to the computer the scanner is connected to. 4. 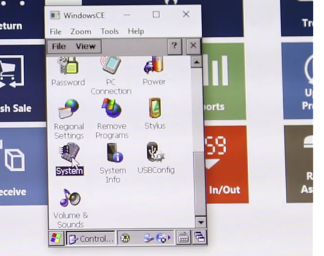 Select the Start menu and search for Windows CE Remote Viewer. 5. 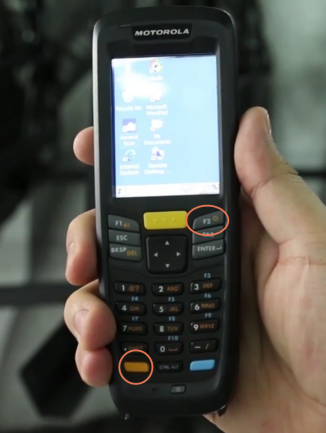 Select Windows CE Remote Viewer. 6. In the Remote Control Program, select the Windows Start menu > Settings > Control Panel. 8. Navigate to the Memory tab. 9. Now move the Memory Allocation Slider to the right to increase the memory space. 10. Under Storage memory, make sure the Total value is greater than the In Use Value. 11. Click Okay to close the window. 12. Click File > Close to exit the Control Panel. Not seeing the familiar green Windows Mobile Device Center box pop up when you dock your inventory scanner? Is Ascend exporting your product file to the computer’s hard drive instead of directly to the scanner? Open your Control Panel (just click on the Start Menu and start typing to search) and navigate to Programs and Features. Scroll until you find Windows Mobile Device Center and Windows Mobile Device Center Driver Update – in the Version column, both should list 6.1.6965.0. If they don’t, uninstall the older versions and install the latest version for your system type. Sherpa Tip: Don’t know your system type? Just right-click your Start Menu and choose System. Access your computer’s Services (again, click the Start Menu and search away). Right-click and select Run as administrator – you’ll need to do this even if you’re using a Windows® administrator user account! 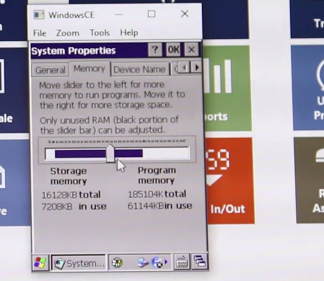 Scroll until you find Windows Mobile-based device connectivity and Windows Mobile-2003-based device connectivity. If necessary, right-click each and select Stop (they may not both be running). Right-click each and select Properties. Click the Log On tab, select Local System account, and check Allow service to interact with desktop. Right-click each service and select Start. 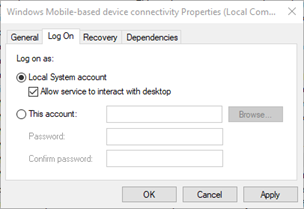 Article: My inventory scanner isn't connecting to Windows Mobile Device Center.